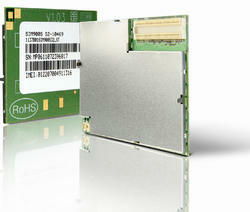 The new edge SIM 700 D GPRS Module is a complete Quad-Band GSM / GPRS / EDGE solution in a compact SMT module. Featuring an industry-standard interface, it delivers GSM/GPRS/EDGE 850 / 900 / 1800 / 1900 MHz performance for Data, Voice, SMS, and Fax in a small form factor and with low power consumption. The leading features of the module make it ideal for applications, such as PC card, USB modem and hand held devices. 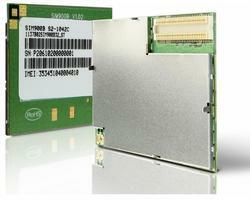 We offer SIM 300 / SIM 340 GRPS Module with SIM 300 / 340. This is widely demanded for being a Ti-Band/Quad-Band GSM/GPRS solution that comes in a compact plug-in module. It is used for WLL applications and hand held devices. Our team of skilled engineers has developed these modules on mature platform. We also offer support services for the same right from definition to design and production. 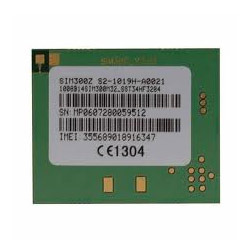 Designed for global market, SIM900 is a quad-band GSM/GPRS engine that works on frequencies GSM 850MHz, EGSM 900MHz, DCS 1800MHz and PCS 1900MHz. 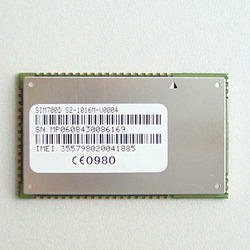 SIM900 features GPRS multi-slot class 10/ class 8 (optional). The keypad and SPI display interface will give you the flexibility to develop customized applications. Serial port and Debug port can help you easily develop your applications. One audio channel includes a microphone input and a speaker output. SIM900 quad-band: GSM 850,EGSM 900, DCS 1800, PCS 1900. The SIM900 can search the 4 frequency bands automatically. The frequency bands also can be set by AT command. GPRS data uplink transfer: max. 42.8 kbps. SIM900 supports the protocols PAP (Password Authentication Protocol) usually used for PPP connections. The SIM900 integrates the TCP/IP protocol. 8-wire modem interface with status and control lines, unbalanced,asynchronous. Serial Port can be used for AT commands or data stream. Supports RTS/CTS hardware handshake and software ON/OFF flow control. 2-wire null modem interface DBG_TXD and DBG_RXD. Can be used for debugging and upgrading firmware. 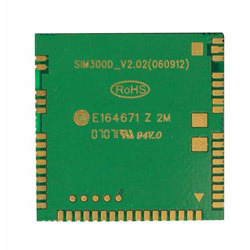 SIMCom presents an ultra compact and reliable wireless module---SIM900-DS with special features, Dual-SIM Dual-Standby, which allows customers to use two SIM cards in one device simultaneously. This is a complete Quad-band GSM/GPRS module with a SMT type and designed with a very powerful single-chip processor integrating ARM926EJ-S core, allowing you to benefit from small dimensions and cost-effective solutions. Featuring an industry-standard interface, SIM900-DS delivers GSM/GPRS 850/900/1800/1900MHz performance for voice, SMS, Data, and Fax in a small form factor and with low power consumption. With a tiny configuration of 24*24*3 mm same as SIM900, it can fit almost all the space requirements in your M2M applications, especially for slim and compact demands of design. 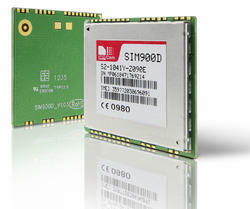 SIM 300 D / 340 D GPRS Module is a complete Tri-Band/Quad-Band GSM/GPRS solution in a SMT module. SIM 300 D / 340 D with a tiny configuration can fit almost all the space requirements in your M2M applications like AMR, POS, Security, AVL etc. The new edge SIM 700 GPRS Module is a complete Quad-Band GSM / GPRS / EDGE solution in a compact plug-in module. Featuring an industry-standard interface, it delivers GSM / GPRS / EDGE 850 / 900 / 1800 / 1900 MHz performance for Data, Voice, SMS, and Fax in a small form factor and with low power consumption. The leading features of the module make it ideal for M2M applications like AMR, POS, Security, AVL etc. 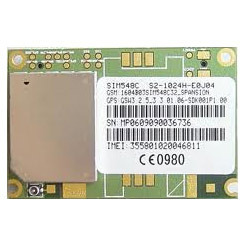 SIM 548 C GPRS Module is a compact Quad-Band GSM/GPRS-enabled module that is also equipped with GPS technology for satellite navigation. The compact design of the SIM 548 C makes it easy to integrate GSM/GPRS & GPS as an all-in-one solution. You will save significantly both time and cost for the integration of additional hardware components. Featuring an industry-standard interface and GPS function, the combination of both technologies allows valuable asset to be tracked at any location and anytime with signal coverage. 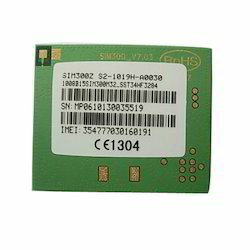 SIM 508 - 548 GPRS Module is a Tri-Band/Quad-Band GSM/GPRS-enabled module that is also equipped with AGPS technology. The compact design of the SIM 508 / 548 makes it easy to integrate GSM/GPRS & GPS as an all-in-one solution. You will save significantly both time and cost for the integration of additional hardware components. The combination of both technologies can fit almost all the space requirement in your applications, it allows valuable asset to be tracked at any location and anytime with signal coverage. 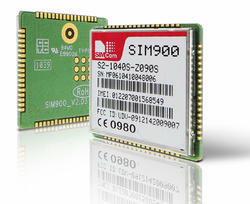 SIMCom presents an ultra compact and reliable wireless module-SIM900E. This is a complete Quad-band GSM/GPRS module in a LGA package and designed with a very powerful single-chip processor integrating AMR926EJ-S core, allowing you to benefit from small dimensions and cost-effective solutions. Featuring an industry-standard interface, the SIM900E delivers GSM/GPRS 850/900/1800/1900MHz performance for voice, SMS, Data, and Fax in a small form factor and with low power consumption. With a tiny configuration of 19.8mmx 19.8mm x 2.7mm, SIM900E can fit almost all the space requirements in your M2M applications, especially for slim and compact demands of design. ?Featuring an industry-standard interface, the SIM900 delivers GSM/GPRS 850/900/1800/1900MHz performance for voice, SMS, Data, and Fax in a small form factor and with low power consumption. With a tiny configuration of 24mm x 24mm x 3 mm, SIM900 can fit almost all the space requirements in your M2M applications, especially for slim and compact demands of design. Featuring an industry-standard interface, the SIM900A delivers GSM/GPRS 900/1800MHz performance for voice, SMS, Data, and Fax in a small form factor and with low power consumption. With a tiny configuration of 24mm x 24mm x 3 mm, SIM900A can fit almost all the space requirements in your M2M applications, especially for slim and compact demands of design. SIM800L is a complete Quad-band GSM/GPRS solution in a LGA type which can be embedded in the customer applications. SIM800L support Quad-band 850/900/1800/1900MHz, it can transmit Voice, SMS and data information with low power consumption. With tiny size of 15.8*17.8*2.4 mm, it can fit into slim and compact demands of customer design. Featuring Bluetooth, FM and Embedded AT, it allows total cost savings and fast time-to-market for customer applications. SIM800 support Quad-band 850/900/1800/1900MHz, it can transmit Voice, SMS and data information with low power consumption. With tiny size of 24*24*3 mm, it can fit into slim and compact demands of customer design. Featuring Bluetooth and Embedded AT, it allows total cost savings and fast time-to-market for customer applications. SIM800A is a complete dual-band GSM/GPRS solution in a SMT type which can be embedded in the customer applications.